In this post, Lynne Friedli and Robert Stearn look at the role of psychological coercion, notably through the imposition of positive affect, in UK Government workfare programmes. There has been little or no debate about the recruitment of psychology/psychologists into monitoring, modifying and/or punishing people who claim social security benefits. This silence raises important ethical questions, including about the relationship of psychology to the medical humanities. The growth and influence of discourses of positive affect in systems of governance and ‘technologies of the self’ has been widely observed. ‘Strengths based discourse’ is a significant policy imperative in health and welfare reform and underpins ‘the application of behavioural science and psychology to public policy’ via the UK government’s Behavioural Insights Team (BIT) or ‘nudge unit’. Positive affect plays an important supporting role in policy preoccupations with how best to manage the intersection of long term conditions and long term unemployment, exemplified in the shift from rest cure, (signified by the sick note), to work cure, (signified by the fit note). The deployment of positive affect within the active labour market policies pursued by both Labour and the Coalition is legitimated by and reinforces the economic model that UK governments have drawn on over the last thirty years, according to which long-term unemployment is itself a barrier to employment. Unemployment – ‘worklessness’ – is held to be a harmful attribute that people may acquire, linked to ideas of debility and dependency, which makes them less employable. Hence interventions designed to change individuals’ behaviour and tackle their alleged loss of ‘employability’ are posited as a reasonable approach to a macroeconomic problem. Workfare is increasingly central to such policy, combining twin imperatives of this supply-side package, this relentless focus on claimants: to change the behaviour of people whose employment-related behaviour is deemed inadequate and to make life lived on subsistence benefits (even) more punitive and less viable. So the use of positive affect in the delivery of workfare has far ranging consequences for people who are unemployed, sick, disabled or in ‘in work’ poverty (i.e. deemed not to be working enough hours, or not doing enough to secure ‘better paid work’). This includes mandatory participation in ‘positive psychology’ courses and the use of psychological referral as punishment for non-compliance (regulated and ad-hoc) with the new regimes of welfare conditionality to which people claiming out of work benefits (or in future, universal credit) are subject. In addition to those currently claiming benefits, those who could be at risk of doing so – notably those currently adopting ‘unhealthy behaviours’ – are also regularly subjected to the blandishments of positive thinking. Populations ‘marked out for wearing out’ as Lauren Berlant puts it. Central themes include positive affect as ‘health asset’ and potent form of personal capital – in other words, positive affect as a substitute for income and security: ‘cruel optimism’ indeed. These developments mean that positive psychology is now as significant a feature of conditionality in the lives of those who are poor as going to church once was, and they share a common evangelical language: ‘something within the spirit of individuals living within deprived communities that needs healed’ (SCDC 2011, 3). Unfortunately, the compulsions of positive affect are not confined to Sundays. I am shy and have difficulty speaking to people and I will not do play acting in front of a group of people I am very uncomfortable with…. I was told I would be sanctioned if I didn’t take part, so I said I would get up, but I am not speaking…. After that, we had to fill out yet another ‘benefits of being assertive’ sheet. The rise of psychological coercion, ‘positive affect as coercive strategy’, and the recruitment of psychology/psychologists into monitoring, modifying and/or punishing people who claim social security benefits raises important ethical questions about psychological authority ( being ‘nasty in a nice way’ – as one person on Job Seekers’ Allowance (JSA) put it). It also invites reflection on the rarity of challenges to the authority of psychology, (Whitehead’s ‘emerging cartel of psychocrats’), given its central role in the legitimising and implementation of workfare . So our first question concerns the relationship between psychology and psychologists and the field of medical humanities – critical or otherwise. The complex supply chains of the Work Programme, which makes heavy use of the voluntary sector, make this question and the self-scrutiny it ought to provoke more pressing. Such complexity serves to insulate charitable organisations (who advise or provide services for contractors, or who arrange and benefit from placements) from the decision of whether or not to sanction claimants and from accountability for the consequences. One of the criteria for being sent on Community Work Placements is ‘lack of motivation’, regarded in the policy literature as a significant impediment to gaining employment – although how lack of motivation is defined and identified is vague and random. Eligibility for both out of work and in work benefits is now explicitly contingent not only on certain behaviours, but also on possession of the right affect: conditions placed on who can receive social security are confused with demands on what recipients are and do, and disallowances (questionable on other grounds) are confused with sanctions, both to the detriment of claimants. Failure to be ‘actively seeking work’ accounts for the biggest share of the colossal – and accelerating – increase in sanction rates since 2004. The consistent failure of Work Programme interventions to improve work outcomes has resulted in a much greater focus on psychological or ‘soft outcomes’ – motivation, confidence, ‘job-seeking behaviour’, ‘a positive change in attitude to work’ – said to ‘move people closer to work’. The pool of forced work options available – the number of different workfare schemes, along with traineeships, apprenticeships, and intermediate labour markets, in combination with bogus self-employment and short-term or part-time minimum wage work (participation in all of which is compelled directly or indirectly by sanctions) – creates a field within which affect becomes a major criterion for measuring one claimant against another. An individual can shuttle between schemes, their work entirely disengaged from pay, which becomes an attribute of mindset: a wage, if ever introduced, will ‘more faithfully replicate the experience of work’. Efforts to achieve these soft outcomes – the right affect – are evident in the course content of mandatory training programmes run by major workfare contractors like A4e and Ingeus. The A4e Engage Module states: ‘to appreciate the importance of mindset to employers’ : students will learn how to develop the right mindset which will appeal to employers. Other elements of this module are assertiveness, confidence, benefits of work, motivation, enhance your mood. It’s worth reiterating here what these and other supported job search activities involve. They are mandatory: refusal to participate can and does result in sanctions, plunging people into absolute poverty. Sanctions are a significant factor in the escalating use of food banks. These activities may involve tasks experienced as humiliating and pointless by job seekers. There is no evidence that these interventions increase the likelihood of gaining decent paid work. In perpetuating notions of psychological failure, they shift attention from market failure and the growth of in-work poverty. They contribute to the wider role of psychology in the validation of an increasingly narrow range of attributes – self efficacy, aspiration, optimism, positive thinking, assertiveness – with no reference to the contested nature of these terms or their ideological underpinnings and the processes through which they acquire social value and economic reward. In addition to mandatory training informed by positive psychology, claimants are subjected to a wide range of strengths based interventions, including on-line psychometric testing ( ‘failure to comply may result in loss of benefits’). As Cromby and Willis have noted, not only was the Values in Action (VIA) ‘Inventory of Signature Strengths’ test recently imposed on claimants known to have failed validation, every aspect of its use contravened the British Psychological Society’s ethical code. The messages in the course handout for the A4e (mandatory) ‘Healthy Attitudes for Living’ course take these themes a step further, intended, perhaps, to counter any residual yearnings in the ‘job seeker’ for either justice or security. The reminder that ‘you can still play fair yourself’ delegates the role of ‘playing fair’ to people in situations of poverty and unpaid labour and of course also tends to pre-empt reflection on structural injustice. This general conspiracy of optimism, normative cheerfulness and resilience in the face of adversity, is part of a larger problem of the denial of pain, companion to denial of the problem of neoliberal economics. Positive affect as it is now deployed constitutes a more and more arduous and demeaning array of tasks whose insufficient performance is a sanctionable offence. Working on these deficits becomes the full time unpaid labour of millions of people, which, together with mandatory job search activities, ensures that these days, people who are poor have both no money and no time. In thinking about positive affect as psychological coercion, we have felt that the whole area of workfare is under-theorised. Perhaps partly because a surprising range of people subscribe to the view that both positive affect and work are deeply desirable, cures for many ills and sources of meaning: conferring agency and dignity. The level of professional silence on these questions is a matter of serious concern: the failure of the British Psychological Society, for example, to engage with the issue of workfare. When a profession gains social value (and lucrative contracts) from instilling the very attributes admired – insisted upon – by neoliberal economics and the Cabinet Office, it must necessarily avert its gaze from those plunged into absolute poverty by sanctions applied for various defects of behaviour, character and attitude. Issues of complicity are very pressing. But a shared analysis of power is a riposte to bogus and restricted agency: join the resistance. We draw on personal testimonies from people blogging about their experiences of workfare and on our own experiences with the Boycott Workfare Campaign, of which we are both members. Our views are our own and we do not speak on behalf of Boycott Workfare or, of course, on behalf of the 1.35 million people claiming Job Seekers Allowance. K Day, What?! You’re Telling Me You Lost My Dunce Work? The Joy of the JobCentre Programme blog, 20 August 2013. Whitehead M, Jones R and Pykett J. (2011) Governing irrationality, or a more than rational government? Reflections on the rescientisation of decision making in British public policy. Environment and Planning A 43: 2819-2837. Ibid. ; Webster points out that the definition of employment adopted in 1919 – to be unemployed one must be looking for work – has been contested ever since its inception, and was abolished for much of the 20th century. K Day, How Work Programme Makes Me Feel, The Joy of the JobCentre Programme blog, 18 August 2013. The Skwawkbox, DWP: Fake Psych ‘Test’ Training Given by Unqualified ‘Experts, The Skwawkbox blog, 4 July 2013. In the Realm of Others is a new collaboration between Project Art Works and De La Warr Pavilion intended to question perceptions about the process of making art. Over forty-five large and small-scale paintings, drawings and sculptures – produced by fourteen makers with profound intellectual impairment – are presented in a living, evolving installation that offers a rare glimpse into unknowable, creative states of being. Note that Dr Jennifer Laws, a member of Durham’s Centre for Medical Humanities, is a contributor (see “The hollow gardener and other stories: Reason and relation in the work cure”) to this volume — which we imagine will be of interest to many of our readers. Britta Lundgren is professor of Ethnology at the Department of Culture and Media Studies at Umeå University in Sweden. She is currently working with the project “Epidemics, Vaccination, and the Power of Narratives”, financed by the Marcus and Amalia Wallenberg Foundation. She is also the coordinator of The Medical Humanities Network, which assembles around 30 researchers from different departments in the Faculty of Arts. The network also collaborates with Umeå Studies in Science, Technology and Environment. 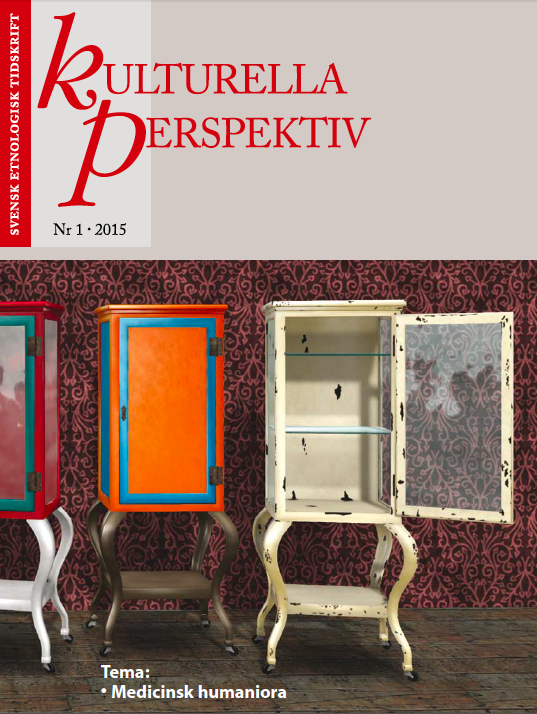 To present the medical humanities in Umeå, the Swedish journal Kulturella Perspektiv publishes seven articles together with an introduction in its forthcoming February issue. The articles are published in Swedish. The study follows disabled individuals over their lifespan to examine their mortality risks in 19th-century society, in comparison to non-disabled people. The aim is to detect whether people, due to their disability, had a higher probability of meeting a premature death. Sweden’s 19th-century parish registers are used to identify people the ministers defined as disabled, and employ theories on deviance and gender to grasp the statistical mortality findings. Disability significantly jeopardized the survival of individuals and particularly of men, probably because impairment limited their chances to match the breadwinner ideals associated with the male gender. 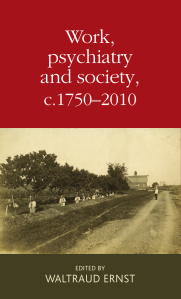 Keywords: death, disability, gender, life course, nineteenth century, stigma, Sweden. Mindfulness meditation started its academic career in the 1970s within behavioural medicine and mind-body research. Now, you find it in psychotherapy, neuroscience and clinical psychology, but also increasingly in the social sciences such as education, organization studies, social work and economics. Mindfulness meditation is offered as a secular program for healing, self-understanding and growth, and has moved from the cultural margins (Buddhism) to the mainstream, both scientifically and culturally. The variety of problems that mindfulness addresses is made possible by the fact that it actually spans both the pathological and the normal or healthy. The article shows how in actual fact, it collapses that distinction regularly. Keywords: mindfulness, Buddhism, clinical psychology, scientization, meditation. The article discusses international mobility among highly skilled professionals in the medical field. The aim is to classify and analyse different types of knowledge as physicians and medical researchers who have worked abroad and then returned to Sweden tell about their experiences. The article focuses the interdependency between declarative knowledge (facts, theoretical knowledge); skills and embodied knowhow; meta knowledge (about how the medical field works, i.e. publication strategies) and reflexive abilities (broaden one’s vision, learn about and be able to deal with cultural variations, extend professional habitus). Professional knowledge is defined as process is difficult to completely separate from everyday knowledge and everyday life, hence reflexive abilities play a vital role. Karine Aasgaard Jansen: Beyond “Illness” and “Disease: An Historical Introduction to Medical Anthropology. The article introduces readers to the history of medical anthropology and discusses primarily medical anthropology’s theoretical relevance for the broader field of medical humanities. In focusing on the so-called interpretative and critical perspectives, the author suggests a revitalization of Nancy Scheper-Hughes and Margaret Lock’s (1987) model of the three bodies as a reconciliatory approach between the two perspectives. Rather than approaching illness and disease from either the perspective of phenomenology or social constructivism, this model enables studies which acknowledge the interrelations between macro and micro processes in the shaping of local medical knowledge, meaning and experience. Keywords: history of medical anthropology, interpretative approach, critical perspective, medical humanities, social medicine. For more information about this special issue or about the Medical Humanities at Umeå University please contact Britta Lundgren. The tenth annual conference of the British Society for Literature and Science will take place at the University of Liverpool, on 16-18 April 2015. Keynote talks will be given by Professor Keith Barnham (Imperial College London), Dr Patricia Fara (University of Cambridge), and Dr Claire Preston (Queen Mary University of London). The BSLS invites proposals for twenty-minute papers, or panels of three papers, on any subjects within the field of literature and science. In addition, ‘flash talks’ of up to 7 minutes on any topic are invited for a special plenary session. Other formats are also welcomed, but please email your suggestion to the organisers (via bsls2015@liverpool.ac.uk) for consideration, well in advance of the submission deadline. This year the organisers would particularly welcome proposals addressing the themes of light, optics, vision and colour, and proposals for papers, panels or roundtables on engaging the public with literature and science research. However, the BSLS remains committed to supporting and showcasing work on all aspects of literature – including comparative literature and European and world literatures – and science, medicine and technology. Proposals of no more than 250 words, together with the name and institutional affiliation of the speaker, and a biographical note of around 50 words, should be sent in the body of messages (not in attachments) to bsls2015@liverpool.ac.uk. Proposals for panels should include a separate proposal and biographical note for each paper. The closing date for submissions is Friday 5 December 2014. Accommodation: please note that those attending the conference will need to make their own arrangements for accommodation. Information on local hotels will be made available soon on the forthcoming conference website. Membership: conference delegates will need to register as members of the BSLS (annual membership: £25 waged/ £10 unwaged). It will be possible to join the BSLS when registering for the conference online. 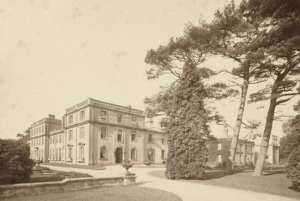 Ticehurst Hospital The Wellcome Library has made around 1000 patient records from the Ticehurst Hospital during the years 1793-1925 freely available online. You will find a description of and access to the holdings here.